How do you vet a potential premier in just 8 weeks? Talk about vetting. What about the public? March 31, five weeks out from the provincial June 7 election, Ontario voters will know who the Tories want as Ontario’s next premier. On Friday, a day after Patrick Brown’s emotional resignation as leader, the Progressive Conservative Party of Ontario will pick a permanent leader to run against Premier Kathleen Wynne and NDP Leader Andrea Horwath. Both women are long-time party leaders. MPP Miller said he was “shocked” at Wednesday’s announcement by former PC leader Patrick Brown. 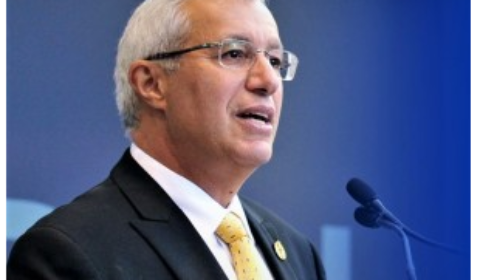 This all comes after Friday morning’s PC caucus meeting, where they unanimously picked former North Bay mayor Rick Fedeli as interim leader Friday. In a statement Thursday afternoon, Parry Sound-Muskoka MPP Norm Miller said: “I was shocked to learn the recent news about Patrick Brown. “Last night (Wednesday) our caucus unanimously agreed that as a result, Patrick Brown must no longer lead our party, and I believe MPP Brown has done the right thing by resigning his leadership. Fedeli, the party’s finance critic will be allowed to run for the leadership nine weeks from now. Instead of going with him as the candidate going into the election, he will face leadership challenges from a number of people — both inside the party now and outside it. Even before Fedeli was confirmed by the party executive late Friday, Parry Sound-Muskoka MPP Norm Miller was back behind Christine Elliot to win. He had supported the former MPP (and widow of federal finance minister Jim Flaherty) when she lost to Brown last year. A number of other federal and provincial elected members are also expected to enter the two-month race. If the next PC leader emerges from that latter group, they will be known to the public in that new job for no more than four months. Good luck to an outsider, whose profile will be considerably less — possibly and realistically some eight weeks. Nothing against newcomers, with new ideas, but vetting them will be harder for all included – parties and voters. Where does that leave the voters who must choose the next leader of the province? A lot has been made about the vetting Brown and all party candidates. Last week was a watershed moment in that department, with two other politicians suffering the same fate as Brown. Then, ironically, there was CTV broadcaster Paul Bliss from Toronto, who was the latest caught up in the #meetoo phenomena. CTV helped blow the whistle on Brown. Add in U.S. Republican multi-millionaire Steve Wynn and the one of the top stories of 2017 continues into 2018. All of the above allegations are unproven in court. The leap of faith to conviction has been faster than 1 gig speed thanks to social media. As “mainstream” news outlets — and politicians — are painfully learning, the alt media (anyone with a smart phone) is a force to reckoned with. There’s a ton of good, important work being done there — individually and on line. A rush to judgement can be catastrophic. Murder-suicide sound familiar in Toronto? Now it’s a double murder being in the deaths of Barry and Honey Sherman. But back to politics and you know who. Donald Trump has arguably changed journalism in the 21st century the way moveable type and the printing press revolutionized democracy centuries ago. By throwing into question every story, tweet and sound byte — including his own — voters can be confused and left to wonder who is telling the truth. But back to Brown and the PCs. Voters will have to be on the ball doing their homework to decide whether Wynne should be voted out in favour of Horwath or the next Tory leader. They won’t have long to sort the wheat from the chaff. But will it truly be long enough? That puts the onus on you. And that comes back to the evolving partnership between readers, viewers and media. And credibility and trust of sources. Read more, watch more. Compare opinions. Talk about it openly with friends – and others. Just for an example, read the Toronoto Star and National Post columnists Rosie DiMano and Christie Blatchford for their takes on the PC fiasco. All this adds up to good news for voters and journalism. They aren’t the final arbiters of who to vote for — even with editorials. Trust your head and heart — but do your homework first.